The management asked prospective corps members to dismiss messages requesting them to go and check their states of deployment online. 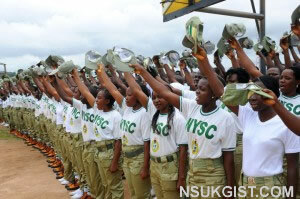 The National Youth Service Corps (NYSC) has postponed the three-week Batch A Orientation course for its members, The Cable reports. NYSC, in a notice titled “2016 Batch A orientation course: Change of commencement of orientation exercise,’ which was published on its website on Friday, March 18, said the three-week programme, earlier scheduled to begin on March 30, would commence on April 27 with registrations. Abosede Aderibigbe, NYSC’s director of press and public relations did not state any reason for the shift, but apologised to the prospective corps members over any inconvenience that the development could create. According to The Punch, NYSC called the attention of its members to the activities of hackers sending messages requesting prospective corps members to go and check their states of deployment online. The message read, “Management wishes to inform prospective corps members that posting to states of deployment has not commenced, but will be done at the appropriate time in line with our laid-down processes. Meanwhile, a corps member identified as Dr. Kelechi Ogboji died while treating a patient suspected of having Lassa fever in Kaduna state. Confirming his death, the Director-General of NYSC Brig. General Johnson Olawumi, represented by the Director of Corps Welfare and Inspectorate, Michael Ahile, eulogized the virtues of the deceased during a condolence visit to his family.